Oh look, your best mate is skiing the Swiss Alps. And your colleague is painting your newsfeed blue and island-sand gold as she sachays across the Mediterranean coast on her way to Cannes. Yes, Euro FOMO is real, especially when the closest you’re getting to Europe is scarfing Viennetta and listening to Roxette. But, in a country as vast and diverse as Australia, there are plenty of options available to give you that holiday buzz without the jetlag. The cool-climate wineries of Tasmania have been kicking major goals in the last few years, especially in sparkling wine. Sure, it’s not allowed to be called champagne, but remove the French nomenclature and you also remove the inflated price tag. 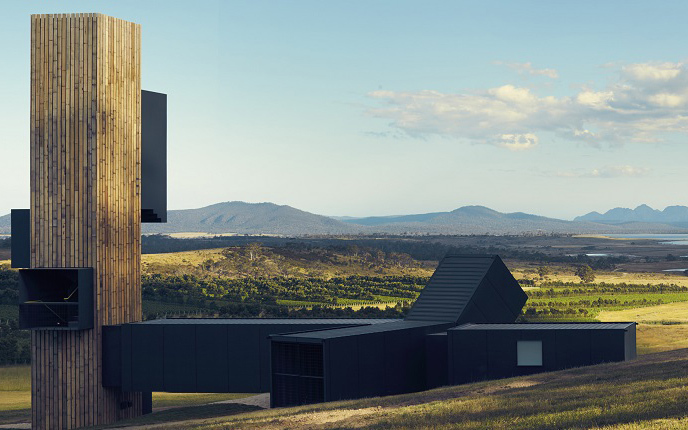 Follow the Sparkling Wine Trail in Tassie’s northern and eastern wine regions or, if you’re short on time, head straight to spectacular Tamar Valley for the biggest names in bubbles, like Pipers River, House of Arras and Jansz. 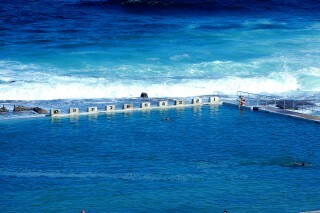 The mineral-rich springs of Victoria make it easy to bathe in health-giving splendour without needing a Roman holiday to do it. 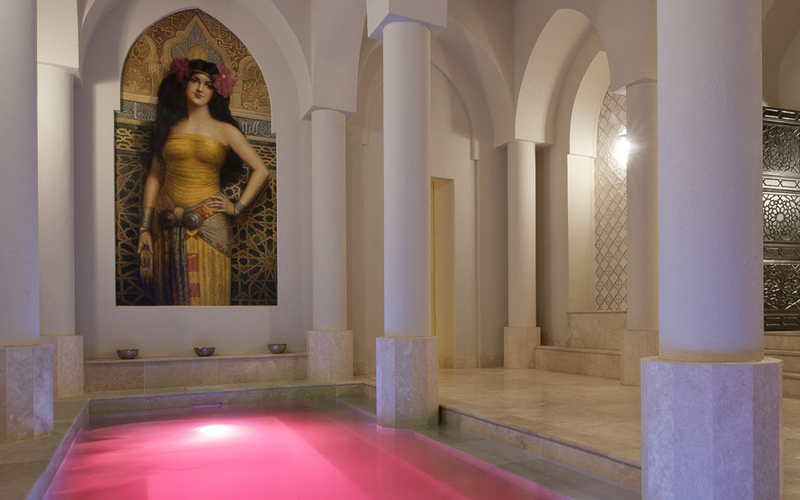 Luxuriate in hot spring waters in the Roman Bathhouse, complete with frescos and columns, at the Spa de Marrakech in the outer suburbs of Melbourne, or have the full Turkish hamam experience at Peninsula Hot Springs on the Mornington Peninsula and be exfoliated, steamed and massaged until you don’t care which continent you’re on. Surely, after 180 years as Australia’s largest German settlement, Hahndorf in South Australia’s Adelaide Hills can deliver a good bier und wurst. Its two German pubs are a veritable sausage fest – in the nicest possible way: try the German Feast at the German Arms. While you’re there, a stroll through Beerenberg’s strawberry fields picking your own fruit will give you all the lush Bavarian feels. Back in Adelaide city, get into Wurst and Stein basement bar for the best of German fun. 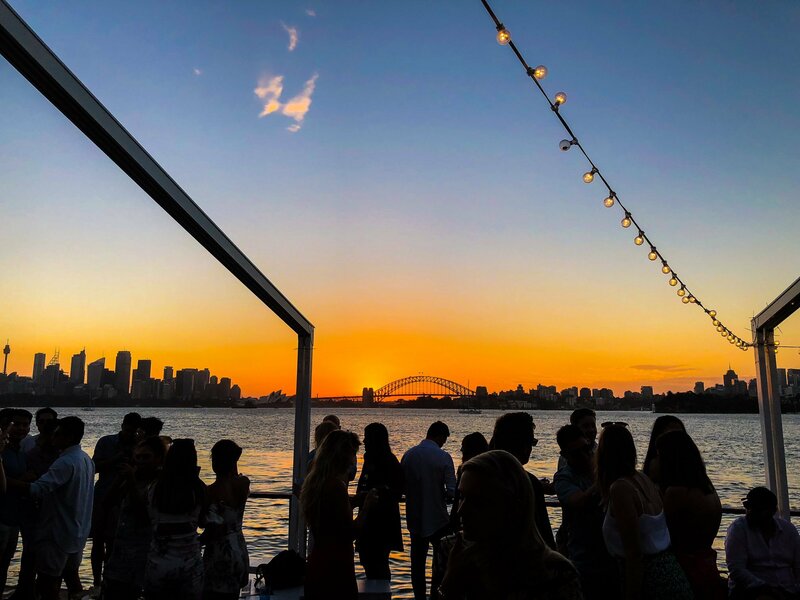 Australia’s first and only floating beach club, The Island, brings Euro beach club culture to Sydney Harbour. It’s a bold claim, considering it’s a beach club without an actual beach, but the chic, cushioned banquettes and eye-popping décor certainly evokes the feel of exclusive clubs in the South of France. You’ll need to get some friends together to book this one, but you do get a harbour pool, private water taxi service and a cocktail bar with staff to mix you up a French martini or fancy aperitif, as well as the ability to position the whole thing anywhere you fancy in the world’s most famous harbour you fancy. Perfect for Australian view with a Frenchy twist. Healthy English expat numbers mean that Perth is never short of a good cup o’ char. High tea is an institution here, with this pleasure-loving city overrun with choice. You can sup on cucumber sandwiches from dainty vintage china in the salon at Rochelle Adonis all week except Mondays, or drown yourself in endless petit fours, sandwiches and even dumplings at the Sunday high tea buffet on Sundays at Crown Perth. If you’d like to get a little more Continental, the Parisian Afternoon Tea at historic Peninsula Tea Gardens, right on the Swan River, is served every day and includes corkage if you BYO champers. Chouette! The charm of Holland, apart from the windmills and gobsmackingly fattening food, lies in the insouciant masses, pedalling by the canals on their beloved bicycles. 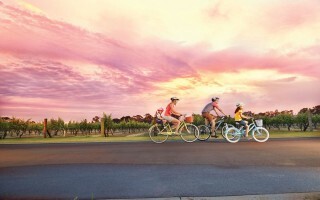 The good news is, you, too, can get on your bike to breeze around Queensland’s Gold Coast, with more than 1000km of on- and of-road cycleways to tour the Goldie, from glitzy neighbourhoods and wild hinterland to yes, even canals and waterways. With plenty of mountain biking on offer in surrounding national parks, you’ll get more thrills on this terrain than you’d ever get in the famously flat Netherlands, anyhow. You may not often hear Darwin compared with Monaco, but stick with me here. Both have gorgeously warm weather and a modest population, sure, but less obvious is their equal love for the arts. You’re hardly going to see Andre Rieu putting on a massive concert in the Top End, but the edgy, hugely entertaining Darwin Festival offers world-class fun without the queues you’ll encounter elsewhere. 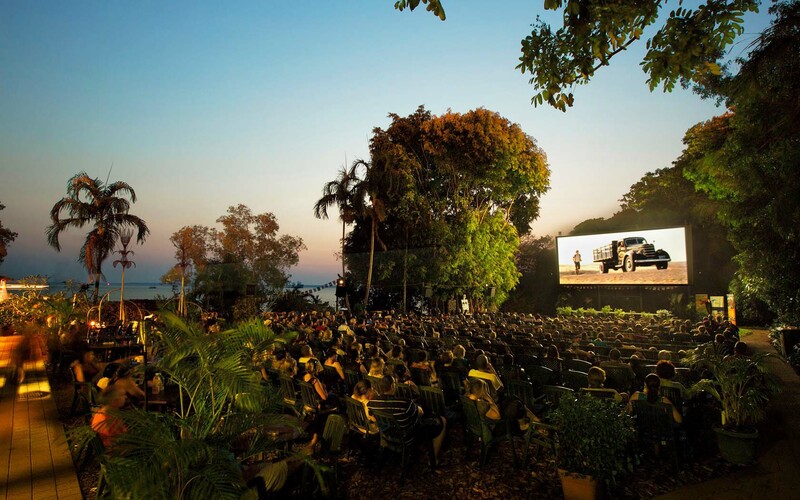 Likewise, you can bask in the balmy air at Darwin’s open-air Deckchair Cinema, which operates on the waterfront all through dry season, without the crowds that are drawn to Monaco’s more famous waterside version.